German Aircraft of WWII: "Kommando Rowehl"
"Kommando Rowehl" had its beginnings in 1933/1934, when officially, the Luftwaffe did not yet exist. To supply the German military intelligence organs with information re its neighbors (and future enemies), the German Abwehr turned to a former World War One aviator - Theodor Rowehl - for assistance. During the First World War, Rowehl was an observer/aerial photographer. After the First World War, Rowehl worked for an aerial photography company called Hansa-Luftbild, GmbH. Flugkapitän Rowehl was thus able to fly over many areas of Europe and aerially map many strategic areas. As a civilian pilot, he was allowed to fly over many areas outside of Germany that were technically off-limits to most everyone. His expertise in both aerial photography and clandestine overflights of important objects of interest was exactly what the new Luftwaffe was looking for. In 1934, the Luftwaffe established its first specialized reconnaissance squadron, the "Staffel zur besonderen Verwendung des Oberbefehlshabers der Luftwaffe". This small squadron flew primarily civilian airliners, such as Heinkel He 111's, as their cover for action. In many instances, the pilot would fly over a special industrial area or other object of interest to the German military and photograph the site. The flight plan however, overtly stated that this "route" was a "test flight" to see if it was commercially viable. This was a convenient cover story that worked quite well for the Germans. On 01 March 1935, Rowehl was promoted to the rank of Hauptmann in the Luftwaffe. At about the same time, the official announcement regarding the existence of the Luftwaffe was announced to the world. Rowehl was then ordered to esbablish a clandestine aerial reconnaissance unit to supplement the activities of "Hansa-Luftbild, GmbH". He was also ordered to help organize the regular aerial reconnaissance capabilities of the new Luftwaffe. For his clandestine reconnaissance operations, he was permitted to hand-pick his crews from the "Deutsche Lufthansa" airline. These airplanes were equipped with cameras and extra fuel tanks - all very well disguised. Of interest to note is that D-ALIZ crashed in the Soviet Union, while on a "civilian" flight to the Crimean area and the Caucasus region. The Soviets were well aware of what the Germans were doing, but replied with only small diplomatic protests. They also knew of the high-altitude overflights, but the lacked any airplanes that could intercept the Germans at those heights. On 20 April 1936, Rowehl was promoted to Major. Rowehl continued to train his personnel, obtained additional resources, upgraded equipment, and refined his clandestine aerial reconnaissance operations. In November of 1938, Rowehl was promoted to Oberstleutnant. Stab/Aufkl. St. (F)/ Ob. d. L.
1./Aufkl. St. (F)/Ob. d. L.
2./Aufkl. St. (F)/Ob. d. L.
Of importance to note is that the duties of Aufkl. Gr. (F)/Ob. 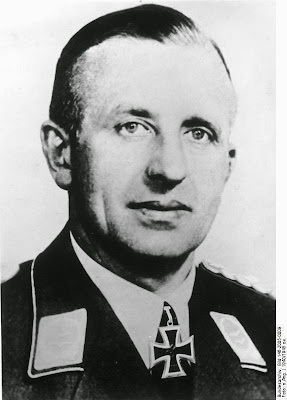 d. L. fell outside of the "normal" reconnaissance activities of other Luftwaffe reconnaissance units. Rowehl's unit performed the more politically dangerous, super clandestine, long-range strategic reconaissance operations for the German military. FW 200/A-03, D-AMCH, "Nordmark", W/N 2895 (unarmed). These aircraft were regular Lufthansa commercial airliners now pressed into military service. Their assignments with Aufkl. Gr. (F)/Ob. d. L. were to undertake reconnaissance missions into the (eastern) Baltic Sea regions as well as over Soviet territory. Their first operational assignment however, was directed against the United Kingdom. Stab/Aufkl. St. (F)/Ob. d. L.
As soon as it was cretaed, 3./Aufkl. St. (F)/Ob. 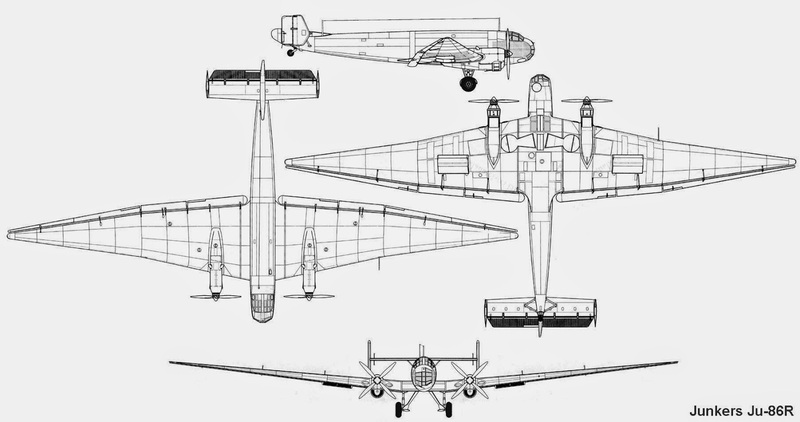 d. L. was assigned a number of newly available Dornier Do 215/B-0 and B-1 reconnaissance aircraft. In April of 1940, 3./Aufkl. St. (F)/Ob. d. L. was based out of Stavanger, Norway. In April of 1940, 2./Aufkl. St. (F)/Ob. d. L. was based at Fritzlar. During the summer of 1940, the first available Junkers Ju 86P model aircraft were delivered to Rowehl. Their first reconnaissance missions were against British airfields and industrial centers. The British knew the Germans were flying overhead, but at this time, the RAF lacked (interceptor fighter) aircraft that could intercept the Germans flying at 39.000 to 41.000 feet. 3./Aufkl. St. (F)/Ob. d. L.
In the early spring of 1941, Aufkl. Gr. (F)/Ob. d. L. was asked to complete a number of aerial reconnaissance missions over the Habbaniyah (near Baghdad) and the Kirkuk areas of Iraq. They were to support the pro-Axis factions fighting the British in Iraq. 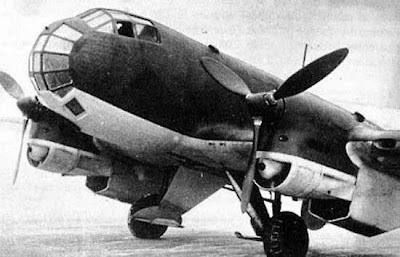 A Heinkel He 111 was allocated to this project by Rowehl's group. For pre-invasion reconnaissance missions over the Soviet Union, 4./Aufkl. St. (F)/ Ob. d. L. was temporarily based in Bucharest, Romania, and Krakow, Poland. However, on 21 June 1941, it was relocated to Berlin-Rangsdorf for operations against western targets. 3./Aufkl. St. (F)/Ob. d. L. operated from Hamina, Finland (operational targets included Murmansk and nothern regions of the USSR). It need be noted that reconnaissance missions over the Soviet Union commenced in 1934. Only a short gap in the aerial reconnaissance efforts occurred in September of 1940, when Hitler ordered all reconnaissance flights over the Soviet Union to cease. He cancelled that order a month later. The Soviets shot at a number of the German high-altitude reconnaissance airplanes, including one flying over Liepaja in 1941, in Soviet-occupied Latvia - but Stalin told his military to keep the shooting incidents to a minimum - he did not wish to provoke Germany in any way. The Luftwaffe disbanded 4./Aufkl. St. (F)/Ob. d. L. in January of 1942. Its aircraft and personnel were amalgamated with 1./Aufkl. St. (F)/ Ob. d. L. In May of 1942, numerous Junkers Ju 86P long-range reconnaissance aircraft of 1./Aufkl. Gr. Ob. d. L. were transferred to Kastelli, Crete, Greece, where they were temporarily assigned to 2.(F)/Aufkl. Gr. 123 (Kennzeichen 4U+). From this Luftwaffe base, Junkers Ju 86/P2 models were employed for aerial reconnaissance missions over Egypt. On 24 August 1942, a specially modified Supermarine Spitfire V intercepted a Junkers Ju 86/P2 flying at about 42.000 feet (12.600 meters), north of Cairo, Egypt, and shot down the unarmed German reconnaissance aircraft. The Luftwaffe quickly added defensive armaments to the remaining Ju 86's, but this did not prevent the loss of two more Ju 86P's being shot down by the RAF over the skies of Egypt a short while later. A major reorganization took place with Aufkl. Gr. (F)/Ob. d. L. As the fortunes of war turned against the Germans, the original mission or aerial reconnaissance of strategic targets became less and less relavant for Aufkl. St. (F)/Ob. d. L. Rowehl was still the commanding officer of the Gruppe. Stab/Aufkl. Gr. (F)/Ob. d. L.
On 01 March 1943, the 4./Aufkl. St. (F)/Ob. d. L. was redesignated as the 1./Versuchsverband/Ob. d. L. This unit concentrated its activities on new aircraft types as well as advanced aircraft construction and weapons systems issues. A short while later, 2./Versuchsverband/Ob. d. L. was established at Berlin-Rangsdorf; a unit that was commanded by Edmund Gartenfeld (hence, this unjit was also known as "Gruppe Gartenfeld") . It was used for clandestine (agent insertion) flights into the Soviet Union; as far as the Ural areas, in a few cases. During the summer of 1944, the Stab/Ob. d. L. (retained from the Aufkl. Gr. (F)/Ob. d. L.) was used to form a new combat group - Kampfgruppe KG 200 (Oberst Heigl commanding). In terms of cameras, the Reihenbild RB 20/30 and the RB 50/30 models were the cameras most often utilized on all Luftwaffe reconnaissance aircraft. Zossen was the headquarters for all major photographic interpretation activities for the Luftwaffe; though much photo interpretation was naturally conducted in the field. I hope that the above is of some help to you. Thank you for the honor of your time. Thomas/Ketley - KG 200; Hikoki Publications; 2003, ISBN 1-902109-33-3. Arvo L. V. wrote: 3./Aufkl. St. (F)/Ob. d. L. operated from Hamina, Finland (operational targets included Murmansk and northern regions of the USSR). This can't be true simply because there is and was no airfield at Hamina. There although is another similar one called Santahamina at Helsinki were is old airfield but it was too small and not used by any bigger planes during the war. I have neither any information that 3. Staffel would have operated from Finland. The place from where a German reconnaissance Kommando operated was Luonetjärvi airbase in Central Finland. I think Staffeln should be marked either "n.Aufkl.St.(F)/Ob.d.L." or "n./Aufkl.Gr. (F) Ob.d.L.". Germans received their permission to use Finnish airfields Utti, Luonetjärvi and Malmi (in Helsinki) already a few days before The Operation Barbarossa officially began on 22.6.1941. Already in the spring 1941 secret high altitude photography reconnaissance missions had been carried out over Soviet Union by Fernaufklärungsgruppe Oberbefehlshaber der Luftwaffe (Aufkl.Gr. (F) Ob.d.L) or more likely its Versuchstelle Höhenflüge using Junkers Ju 86P and Dornier Do 215A long-range high-altitude reconnaissance aircraft. These planes flew over Finland several times without any permission from Finnish authorities. On the other hand Soviet planes didn't respect Finnish territory either. Alone Soviet MBR-2 flying boats crossed Finnish border at least 59 times during the first half of the year 1941. On 20.6.1941 two German Dornier Do 215B long-range reconnaissance aircraft and one Heinkel He 111 of Kommando Luonetjärvi i.e. Kette 1.Staffel / Fernaufklärungsgruppe Oberbefehlshaber der Luftwaffe (Ke.1./Aufkl.Gr. (F) Ob.d.L) (code T5+) (Hauptmann Bolle) flew to Luonetjärvi airbase in Central Finland. Between 18. - 20.6. three Heinkel He 111P transport planes delivered a German radio station to the base and on 21.6.1941 German personnel arrived in Luonetjärvi. Kette operated from Luonetjärvi on 20.6. and between 22.6. - 20.8.1941 photographing the regions of Leningrad - Murmansk railway and Stalin's Canal in East Karelia. Kommando Luonetjärvi left Finland as late as on 13.9.1941. Another airfields commonly used by the long-range reconnaissance planes of Aufkl.Gr. (F) Ob.d.L and long-range reconnaissance units of Luftflotte 1 were Malmi (Helsinki) and Utti. During 21.6. - 28.8.1941 Heinkel He 111 recon plane flew a total of 16 missions from Malmi and between 12. - 18.11.1941 Dornier Do 215B carried out 6 missions.